Joie has a passion for the clinical care of patients who experience acute and chronic wounds and the support of that care through research. She received her BSN from Duke University Durham, NC, her MS from the University of Michigan and her PhD from the University of California, San Francisco where she trained in the Wound Healing Research Laboratory of Dr. Thomas K. Hunt. She joined the faculty at the University of Washington, School of Nursing in 1991 and is currently the Associate Dean for Research. Her program of funded research focuses on clinical interventions designed to influence tissue oxygen, perfusion and temperature and test their effects on molecular, biochemical and clinical wound healing outcomes. Current research efforts are focused on the study of clinical interventions to reduce surgical site infection and the study of pressure ulcer prevention in high risk populations. Additional research interests include studies focusing on clinical practice issues and evidence based practice initiatives. 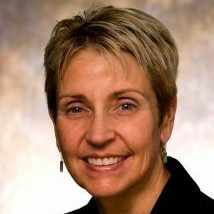 She is the UW School of Nursing faculty liaison for two hybrid wound care training programs offered through UW SoN Continuing Nursing Education, the Wound Management Education Program and Fundamentals of Wound Management.